Operation SEAs the Day brings wounded warrior families to the resort area every year. 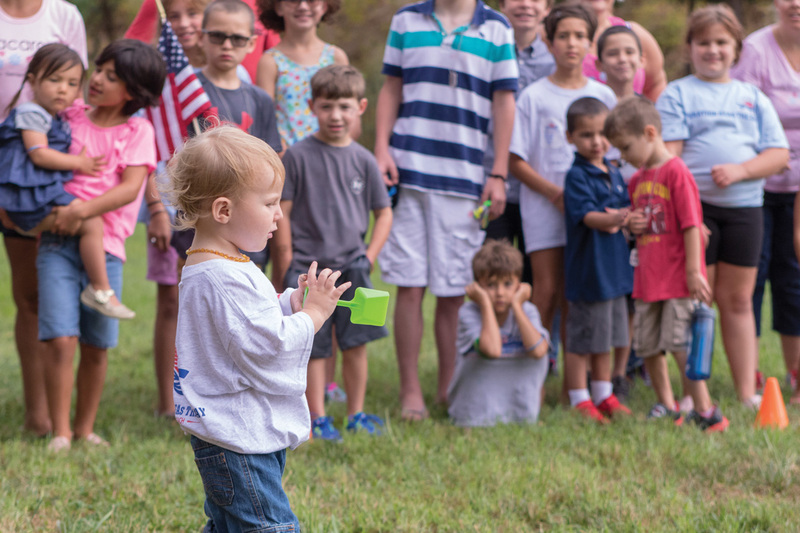 Macaroni Kids has partnered with Operation SEAs the Day the past two years to offer inexpensive, fun activities for children during the weeklong event. 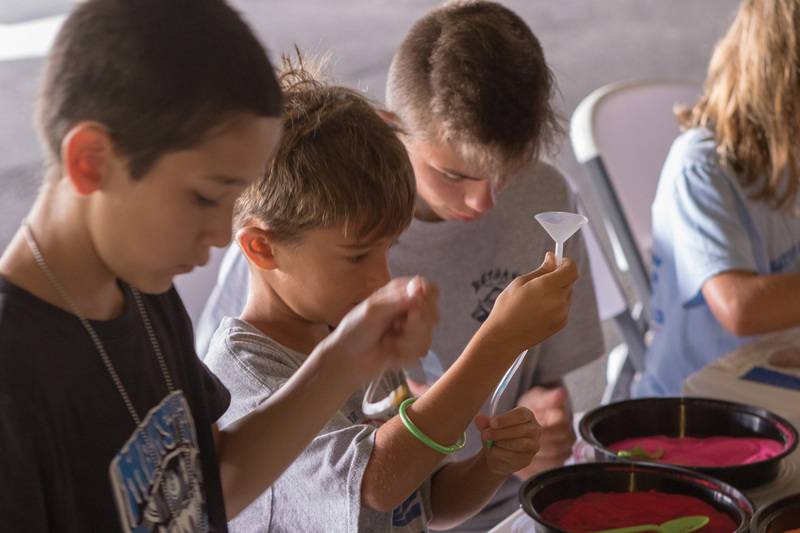 Children use funnels to make colored sand jars or bottles at a Macaroni Kids event during Operation SEAs the Day. For their sister, Kennedy, 6, it’s all about the friends she meets there, and simple pleasures like swimming with her friends. Those friends are special, and not just because they always meet at the beach. They are special because, like the Klopfensteins, they are Warrior families — someone in their household is a wounded military veteran. Including the Klopfensteins, 32 families spent Sept. 4-8 vacationing in Bethany Beach and the surrounding area, thanks to Operation SEAs the Day. Staying in homes that have been offered for their use by local homeowners, the families have a chance to rest and relax away from what is often a busy schedule at home — one filled with medical appointments and other activities related to their injuries. For the children in the families, that means not only a chance to do all typical the beach things, like swimming and building sandcastles, but also to see their parents relax for the first time in quite a while. Sinaiyah Emami’s dad, Nami, is a retired major in the U.S. Air Force who returned from Afghanistan last year. She takes a big breath when asked about her experience with Operation SEAs the Day. Then, the words come. More importantly, she said, her dad loves it. She said she can see the worries and stress of life at home washing away in the waves. Sara Klopfenstein — mom of Liam, Averie and Kennedy — said she is grateful for the opportunities Operation SEAs the Day gives families like hers. “They get an experience that we never could have given them,” she said. That relaxed family time is invaluable for the healing process that, not just the veterans, but their whole families go through. “We all gain from it,” said Omy Emami, mom of Sinaiyah and Azara. That gratitude is shared by the children, who see firsthand how happy the local community is to see them, and how grateful it is for their families’ service and sacrifice, when the annual Operation SEAs the Day caravan rolls from Sea Colony in Bethany Beach to the Bayside community west of Fenwick Island for a concert. During the “Heroes Welcome Home,” supporters line the streets, waving American flags and hoisting handmade signs welcoming the families. “Averie said to me that [the signs] were ‘welcoming,’” Sara Klopfenstein said. She said her children were very excited when they learned they could take some of the signs home with them. One of the ways the Operation SEAs the Day team serves the children of the veterans is by offering them fun activities of their own while their parents are enjoying adult gatherings, such as “caregiver coffees” where the caregivers in the families can chat with each other and share their experiences. 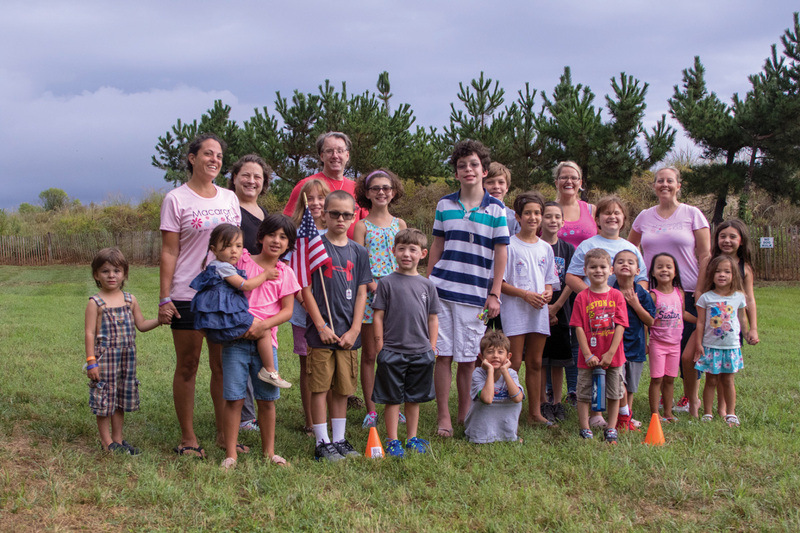 For the past two years, Macaroni Kids, a nationwide company that provides information about inexpensive things to do with children, as well as bringing children’s activities to different events, has joined Operation SEAs the Day for Warrior Beach Week to help with supervised children’s activities. Macaroni Kids representative Jessica Newcomer said this year was her first experience with Operation SEAs the Day, and she found it “indescribable.” Newcomer brought bins of supplies with a basic idea of what she wanted to do with the kids, but improvised throughout the week when weather changed the location of the kids’ activities.